You are here: Home / Blog / 7 Blogging Tools and Tips To Increase Productivity, Today! In our previous article, we discussed in-depth the 17 Compelling Reasons To Get Started With Blogging. Thus, if you have started blogging then the below article is just what you need in order to boosts productivity. 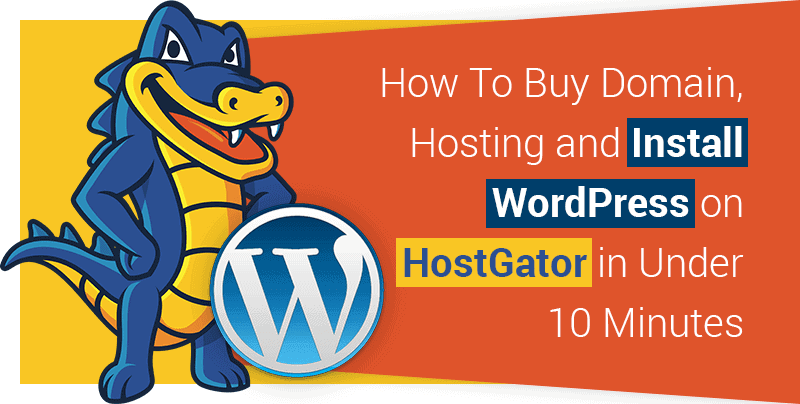 This article by HostGator Coupon Code on how to increase productivity highlights the 7 best tips and tools that you can use right now. So, without further ado, let’s check them out! Motivation is the mother of productivity. If you are motivated enough you can do anything. Setting up a new blog or website requires you to constantly be productive on a consistent basis. These are the quintessential qualities that you must have in order to make your blog a success and for it to live up to its full potential. So how does one improve productivity? To help you we have 7 blogging tools and tips that will help you to increase productivity. These tips will mostly help those who are beginners. If you have been blogging for a while and have not been using these, incorporate them into your workflow now and see how much your productivity improves. These tips may seem small but their accumulated effect on your productivity will pay big results. As they say, the journey of a thousand miles starts with a step. So, without further ado, let’s take a look at what these best practices or ways to increase productivity are! If you fail to plan then you plan to fail. It is a cliché yes, but with good reason. This is why it is vitally important that when you start your blog you make sure you have an end in mind. What do you want to do with your blog? What is your vision? By creating a very clear vision you will be able to see where you want to be and once you take stock of where you currently are, you can take the most important step. This step is actually putting together a plan to reach your goal. This step is much more important than figuring out the best time to publish a blog post. Once you have your long-range goals, you can come up with mid-range goals which will help you better achieve your long-term goals. Come up with short-range plans, which will help you better achieve your mid-range goals, and so on, and so on. Once this is done, you have to make sure to plan the steps that will lead to your short-range plans. Once you have a very clear roadmap, you have to only follow it. This seems like common sense, but make sure to write these plans done. Make them as visible as possible. The act of writing these plans down moves them from the incorporeal into reality. It is also a commitment you are making to follow the plan. As a blogger, you are a manager. You manage your blog, yourself and your time. Two of the most important skills of managers are prioritization and delegation. Many beginner bloggers make the mistake of thinking they can do it all on their own, which is one of the reasons why most blog fail. They believe they do not need help. This is not true. With that mindset, you will not be able to improve productivity. If anything, doing tasks that are unnecessary or are not currently a priority will drive your efficiency and productivity down. What can be given to someone else to do? This will help you to prioritize. Once you have a clear idea of what is most important. You can start doing the important tasks and move down the list. This how to improve productivity tip has the added mental boost of giving a visual reference of how far you have come and what needs to be done. It is always motivational to see how busy and productive our mentors and role models are. You look at the amount of work they are able to get through and this makes you feel like you need to work at the same pace. This may sound easy enough, although it does not take into account your lifestyle and other responsibilities. When you make your plan and your schedule as we advised earlier, you need to make sure that you can stick to it. Make sure that your lifestyle won’t get in the way. If you work during the week, are you able to squeeze content multiple times during the week? When is the best time to post a blog? Are you maintaining a schedule? In the early stages, it is also very easy to get overtaken by the passion of it all and to set an unrealistic schedule. Be careful of this, remember in order to be constantly productive, you need to make sure you are consistent. This is how you improve your productivity. One of the worst things to happen to a writer is writer’s block. In the early stages of starting your blog, you will have ideas flowing from every pore and this will make you constantly write and want to put out content. However, this feeling can easily wane away, not to mention that you might no longer want to blog about the subject. So what can you do? In order to make sure you do not run into this pattern, you should keep a list of the content ideas that come to mind. Some of these will not be the best, but they may help to get the creative juices flowing when the block hits. No one wants to see a blogger with red protruding eyes staring at a computer screen. So when an idea hits, make sure to note it down. You can look at its validity later. Motivation and productivity are products of mental focus. Using checklists can make you focus more on what has been done, rather than what must be done. This small paradigm shift will help increase productivity. When you see that you have completed most of what has to be done, this energizes you. Use different checklists for editing, post-publishing checklist, and other processes while you are working. Why do something in 5 steps when you can do it in 2. This is why we use plugins. They save us time. Once you are done with buying hosting, domain and setting up your WordPress website, make sure to find WordPress plugins that will cut your time down. After all, productivity is a factor of time vs tasks completed. So using a time-saving plugin is one of the best ways to improve productivity. There are many plugins specifically for this purpose. Read this blog by Neil Patel to know which are the best WordPress plugins to create killer content. You should make sure to research them and use the ones that appeal to your needs. They have many different purposes, as some can tell you when the best time to publish an article is. Some can help you with SEO, making it an easy and less harrowing process. Ever got on YouTube to find an important lecture on social media marketing or such, only to find yourself 3 hours later watching a video of a cat playing the Dragonball Z theme song on a tiny lyre? If something like that has happened to you then you know how difficult it can be at times to get past the distractions. The best way to reduce distraction and improve productivity is to disconnect from your time wasters and get to your work. You can give yourself an hour of distraction as a treat for having gotten your work done. These small motivational tools make it that much easier to be productive. Evernote – This one is excellent for taking notes. It is available on mobile as well on the desktop. You will be able to sync all notes and ideas across all devices, meaning that you can jot down notes on-the-go, and when you are in the comfort of your home you can review them. Trello – Most people work better with schedules and organizing when it is visual. This app will let you create your schedule and also help you prioritize your tasks quickly and easily. Plus it is free. Yoast SEO Plugin – This is a time-saving plugin. It is geared towards SEO. It lets you easily edit SEO details such as meta descriptions and snippets. Edit Flow – Use this plugin to schedule your editorial calendar. Apart from these, you can also check out some of these best Google chrome extensions for content that can help you increase productivity. Improving productivity is a whole discipline in the business sciences. This is why it can seem like such a difficult uphill slog. To make it easier we have given you 7 blogging tools and tips to improve productivity. These should help you to not only work faster but to also work smarter. If you have been in the blogging game for a while you can still stand to improve your productivity. If you have not used these then now would be a good time go out and try them. Remember the more productive you are, the more time you have to do the things that you want to do.